Embedded Art: Art in the Name of Security continues until March 22. I will speaking there on March 21. More details on this as they come up. 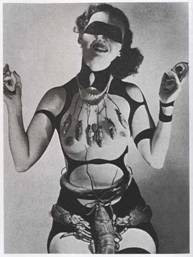 ‘Anything writ in water will succeed,’ was the advice given to Edward James and Julien Levy as they embarked upon their project to realize Salvador Dali’s ‘Dream of Venus’ sideshow at the 1939 New York World’s Fair. Part surrealist fun house, part burlesque showgirl review, the result combined water, eroticism and spectacle in one immersive environment. While the 1939 Fair made a big show of demonstrating TV for the first time, and the Communication Building displayed ‘the progress of the art of speech from the age of myth to the age when myths become household fixtures’, it was the ‘Dream of Venus’ that showed what the modern home would really be like. With the expansion of Suburbia after World War II, space and sensory experience took on a powerful presence in daily life. Ranged in precise grids, connected to its own set of local amenities, the suburban conurbation became an isolated colony, a behavioural laboratory in which individuals were to be studied by a growing professional elite of social scientists. What they found was subsequently labelled by one psychiatrist as ‘Disturbia’: a place where audiovisual technology had invaded the already overheated environment of the modern home. CNN, the best thing to happen to European hotel rooms since the invention of balconies, recently ran a feature on the Embedded Art show at the Akadamie der Kuenste in Berlin, where ‘Requiem for the Network’ is currently on display. You can see the cable news station’s brief tour of the exhibition, complete with armed guards and CCTV cameras, by clicking here. What makes the report true poetry, however, is the next news item up: two young US army officers in combat fatigues handing over the keys of the city to the mayor of Baghdad. After Embedded Art you can really begin to see security as a form of theatre. The exhibition continues until 22 March 2009. For all the posts on ‘Requiem for the Network’ and the Embedded Art show in general, click here. 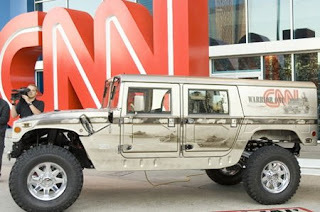 The above image: another Itasha (see previous post) in the form of the CNN Baghdad battle cruiser – NB: CNN’s advertising rates tripled during the course of the first Iraq war. Fourth Article of the Manifesto of Futurism, published February 20, 1909. 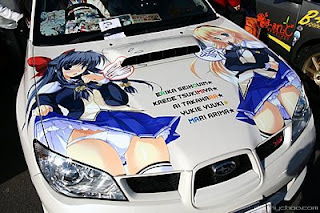 The image of the Japanese ‘Itasha’ above comes courtesy of Danny Choo, currently guest blogger at Boing Boing. ‘The word Itasha, he explains, ‘describes a car that has been plastered with stickers of anime (Japanese cartoons) or eroge (Japanese dating sims) characters. “Itasha” literally means “painful car” and comes from the feeling that one would usually be painfully embarrassed to drive around in one. “Itasha” also means Italian Car.’ Choo's post went up on February 18. History is what we do best even as we give ourselves up to the future. This small gallery of images taken under conditions of the utmost secrecy shows some of the various stages in the mapping of 'Requiem for the Network: Six Degrees of Devastation' as revealed in Rathna Ramanathan's working prints. It gives some small idea of the complex network of connections Rathna was creating from my original text. Enjoy them while you can - they may have to come down at any moment. Martha Stewart didn't really say it was OK for me to show these, but she then hasn't said I couldn't do it either. In matters of the strictest security, it's often a good idea to keep silent and let others interpret your intentions for you. This is the sort of lesson only a spell in jail can teach you. Thanks, Martha. You're bigger than all of us. Once Rathna Ramanathan had finished colour-coding her printout of ‘Requiem for the Network: Six Degrees of Devastation’, she began treating each entry as the node of a hypothetical network which could be developed out of my original text. As my text was presented as six separate ‘degrees’, bridged by a relevant quote set between each section, Rathna adopted this organizational principle in her design: the final set of posters would be divided up into six separate networks. 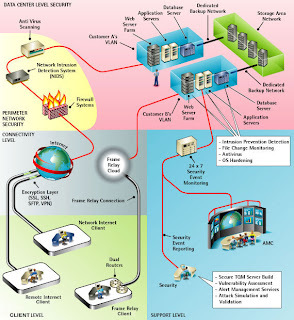 Each core network, however, would in turn be graphically interlinked to represent further levels of connectivity between them. What was particularly interesting about Rathna’s approach was the way in which it conflated systems of influence with the syntactic arrangement of my text – in other words it was possible to follow individual structure of the sentences in which the connections between artists, intellectuals and the military-industrial complex were actually being spelled out. What had started out as the relatively straightforward representation of historical information had become a process of textual translation by which new meanings and interpretations were now being generated. Over the Christmas period and into the New Year Rathna sent me a series of PDFs for me to correct and comment upon. As one degree was added to another, the complexity of the process began to reveal itself. The image above is an early screen grab from Rathna’s networking of ‘Requiem for the Network: Six Degrees of Devastation’. It shows the core network to emerge from the First Degree. The background whorls represent the kind of ‘blast radius’ circles used by RAND strategists to map out globally the potential destruction and population loss that would result from specific thermonuclear weapons. The typography Rathna chose for each entry is used on official US government forms – and also by Martha Stewart for some reason - but this might also explain why it seems impossible to upload the image at the moment. Normal service will be resumed as soon as humanly possible - or when Martha says it's OK. The complete text for Requiem for the Network: Six Degrees of Presentation is published in the catalogue for the Embedded Art show at the Berlin Akademie der Künste, published by Argo Books. The exhibition continues until March 21. During our early discussions on how to shape and structure the data to be presented in ‘Requiem for the Network’, Rathna Ramanathan and I had considered different possible groupings and arrangement of texts. Our general approach, however, was still very much based upon the notion of connecting discrete pieces of text – barely more than information-rich captions – in a way that embodied the complexity of their relationship to each other: a format somewhere between a genealogical table and a systems flowchart. This all changed the moment Rathna read the essay ‘Requiem for the Network: Six Degrees of Devastation’, which I had written for the Embedded Art exhibition catalogue. Her initial response came as a real surprise to me. ‘Your work is pretty much done now,’ she announced. ‘I think you’ve written all we need right here.’ Rathna’s proposal was to take the entire 6,000-word text and isolate key terms, using a colour code to separate out institutions from individuals, publications from concepts and dates. Any syntactic relationship that might still exist between the highlighted words was firmly ruled out by a stroke of Rathna’s pen. As her printout of the essay began to resemble a complex graphic score, the conceptual purity of her approach continued to make itself plain. Rather than using one text to locate another set of texts within a representational plane, shifting the various pieces of data through a succession of arrangements – a process which ran the additional risk of allowing some of the data to drop out of the frame – why not shift from one arrangement of the material directly to another? The more we thought through the possibilities of this approach, the more exciting they appeared to become. "This is the bloody gears of a boppin' machine"
While teaching at Black Mountain College, a home from home for European modernist art and design in 1940s America, the composer John Cage caused an uproar by suggesting that musical compositions should be organized according to principles of duration rather than harmony. Beethoven, he argued, was out. Erik Satie and Anton Webern were in. By emphasizing duration over harmony, Cage was also opening up music as a multimedia practice. Anything could be part of the performance. Chance procedures now began to play an increasingly important role in the composition, presentation and perception of musical activity. This lecture will examine the development of Cage’s graphic scores as maps of events, the role of text in performance and the nature of his collaborations with the choreographer Merce Cunningham as well artists such as Robert Rauschenberg, Jasper Johns and Marcel Duchamp. 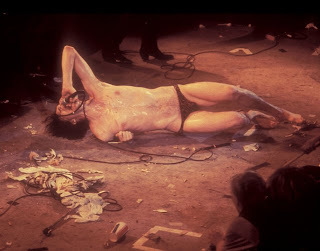 It was also chart how the concept of duration contributed to the progressive development of environments and happenings from Fluxus in New York to the work of Joseph Beuys and Nam Jun Paik in West Germany. As music and image processing software increasingly permits us to manipulate sound and vision as plastic entities, the relationship between the graphic score and the data stream is due for serious reassessment.